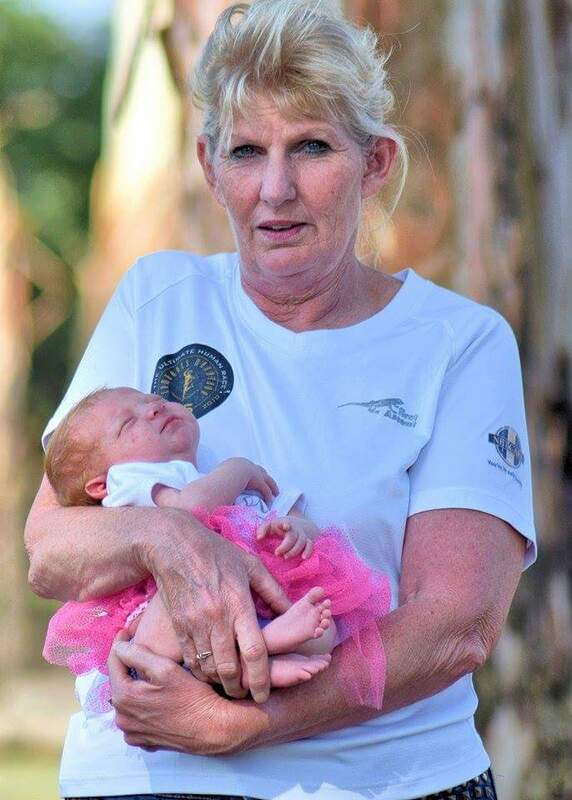 In this edition of the SA parkrun newsletter, we hear about the amazing achievements of someone who starting running with parkrun, take look at how different parkruns are marking their birthdays and celebrate not just a parkrunner of the week in Trish Botton, but also a parkdog of the week! I wonder how many parkruns there are in the world that are still being run over the identical course and route that was run on the very first occasion the parkrun was run. It’s a fact of parkrunning that from time to time parkruns have to make alterations to their routes or, in extreme cases, move the course altogether. This can be for a variety of reasons. Weather conditions can make parts of a course too dangerous. Floods can swamp a course. Frost and ice make it too slippery. Trees can fall across a path, and building and path alterations can also interfere with the original running of a route. In some cases, the sheer volume of participants can change the character of a parkrun and force changes. I know there are some parkruns that have never changed, but there can’t be many. There must be very few parkruns, however, which have had to change because of the start of the hunting season! This happened a few months ago at the Kraalkop parkrun in Gauteng where a change of ownership of the land on which the parkrun was run resulted in the new owner opening up his reserve area to hunters. Now we parkrunners are always keen for incentives to make us run faster but bullets whistling around our ears are not one of those. So Kraalkop parkrun had to hurriedly change venue. Congratulations to Regional Director Manie Esterhuizen and event director Elmarie Hayes for finding a new venue fairly close to the original one. According to those who ran it last Saturday, it’s a delightful parkrun and the change has actually been for the better. I can’t wait to run it one of these days. Increasingly we are meeting parkrunners who have started running 5 kilometres at parkrun and then “graduated” to running marathons and even ultra-marathons such as the Comrades marathon. Some of these have reached these milestones in less than 12 months. This is truly astonishing and some of these brave and inspiring runners have created the hashtag #parkruntoComrades. One of these is Jo van der Walt who tells her amazing story in this newsletter. Vitality members can earn up to 300 points for completing a parkrun event. All you need to do is make sure you’ve linked your parkrun profile to your Discovery membership, using your SA ID or passport number. Not sure how? Use this step-by-step guide to help you. If you’re looking for more ways to earn Vitality points and enjoy the beautiful outdoors at the same time, you can also take part in timed and verified Vitality race events and earn up to 3 000 fitness points for each event, towards a fitness points limit of 30 000 for the year. Events that qualify include swimming, running, and cycling events on the race calendar, as well as Discovery sponsored events. To find out more, go to www.discovery.co.za. This weekend marks the first parkrun for July, and we can’t believe we’ve already crossed the 2016 halfway mark! With summer around the corner, now’s a good a time as any to get moving; and Maxed is the gear to do it in. From ladies printed leggings and active jackets, to men’s trackpants and Dri-Sport tees, we’ve got all the active gear to see you through this last stretch of winter. Speaking of running gear… As mentioned before, the achievement tees are a go, and have been available for collection from your nearest parkrun event director since 11 June. Your achievement tees can be picked up from them until they’re available to order online at mrpsport.com. Once the online ordering process is in place, we’ll let you know! In the meantime, keep accumulating those parkruns and don’t forget to get kitted out for your next parkrun or active weekend online at www.mrpsport.com or in-store at your nearest MRP Sport! In reply to Quinton Quait in the last newsletter regarding a dog doing 100 parkruns. I do the Rietvlei parkrun with my dog Charlie. He’s a Staffy and we have completed 113 parkruns together. We very seldom miss a parkrun. He's an enthusiastic parkrunner. Always very keen at the start and gets very excited once the countdown starts. He loves running at Rietvlei so we do a Sunday morning run as well to keep him in shape as he refuses to do street runs. parkrunner of the Year – Christiaan ‘Buks’ Schutte! We always honour our most veteran age category record set for the year. This year in VW75-79 the new record goes to Oliva du Toit. In VM85-89 a new record was set by Daniel Strydom. 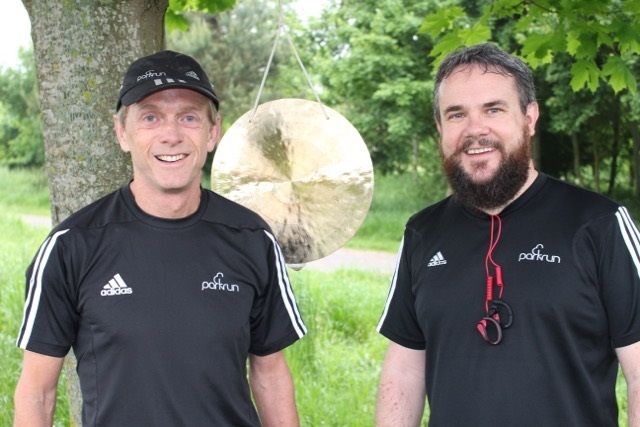 Our most special award was for a parkrunner who ‘Goes the Distance’ to parkrun, who runs 18km from his home to Root 44 (roughly 18km), dashes around parkrun in 17 minutes and then runs back! We have watched Mhlangabezi Mbuntshu develop over the last 2 years at parkrun. His fellow parkrunners have gotten to know him is a humble and friendly runner who is slowly overcoming his shyness. 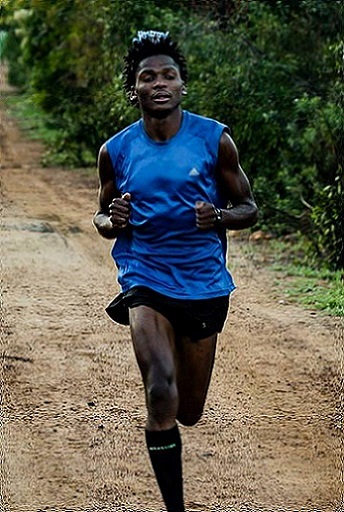 This year Mhlangabezi has run 19 times at parkrun with 12 first finishes and has a PB of 16:49! 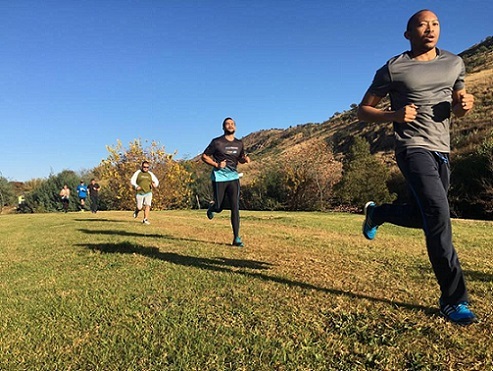 I would like to thank all the Root 44 parkrunners in helping Mhlangabezi with his running and finding work, proving the parkrun is truly part of the community. Thank you so much to all our supporters and parkrunners who sponsored prizes. Thank you to Dis-Chem for visiting and sponsoring some awesome hampers! A very special thank you to Chantelle Gleed from Chantelle’s Cake Creations who made our stunning cake! Most importantly to all our parkrunners for your love and support over the last 158 parkruns, thank you! 185 events, without a cancellation! You make it worthwhile to volunteer every week! And lastly to my core team: Chris, Kobus, Ilse, Mariska, Lisa, Robyn, Kim, Lindsay and Andre you are all superstars! Please have a look at our news page for all the birthday details! From parkrun Princess to Comrades-Conqueror! Two and a half years ago I ran my first parkrun at Delta. I remember being a little grumpy about having to haul myself out of bed on a Saturday to go and run 5km’s. My husband had been at it for a few months more than me, and I was starting to get FOMO. So, I joined him and I loved it. Back in those days I was the epitome of unhealthy living. I didn’t care what I ate, I loved a good party (still do!) and I used to smoke a fair number ciggies. Fortunately I’ve managed to ditch that habit. parkrun soon became a Saturday routine. My husband and I are part of the SA parkrun tourists and it’s been an amazing way to explore this beautiful country. From singing Broadway musical hits in the Stutterheim Country Club the night before parkrun, to braving Arctic temperatures on the coldest day in the history of Prince Albert, to stirring up the Kruger pachyderms with live renditions of ABBA late on a Friday night before our 5km jaunt through the sugarcane at Nkomazi parkrun the next morning, it really has been fun. At the beginning of 2016, I started with a Comrades training program. In six months I ran 5 marathons, one Tough One, one ultra-marathon and one 60km training run. 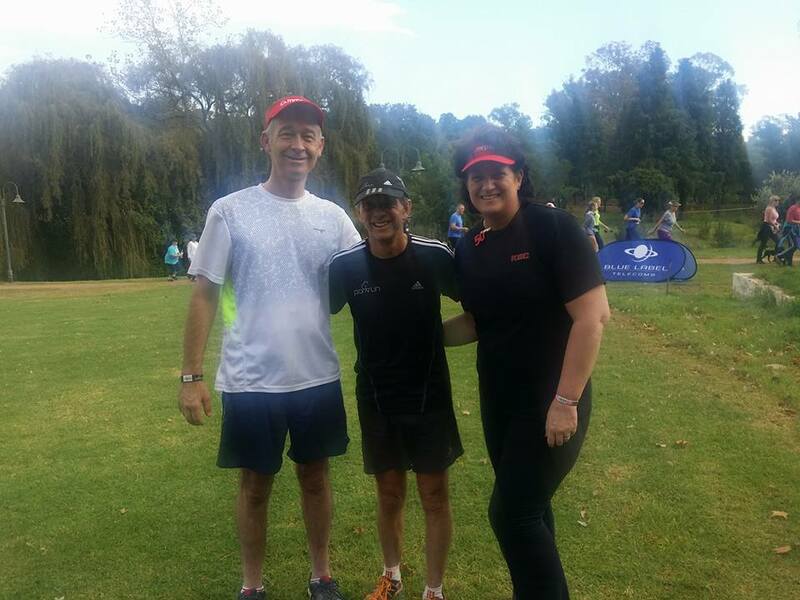 I was lucky enough to have my good friend Brenda Wesi (also a parkrun fundi) as a training partner. We were mostly disciplined, with too many 4am weekday starts to even recall. We pounded the pavements of Jozi in the dark, whilst the rest of the city slept. I’m not going to lie – it wasn’t easy. But was it doable? Of course it was! And it is for so many more people like me. I’m still not the picture of svelte wiry athleticism. I’ll never be a Charne or a Caroline. I’m your neighbour, I’m your work colleague; I could just as well be you. Thank you parkrun for inspiring me to be more, and for being the catalyst to what has been one of the greatest achievements in my life. And to my fellow Comrades, see you at 05h30 in Durbs on 4th June. I’m ready to be humbled once more. I normally run at Green Point. My son and daughter in law run at Woodlands. I was in Jo’burg to celebrate my grandson, Jordan’s first birthday on 19 June. A future parkrunner in the making! 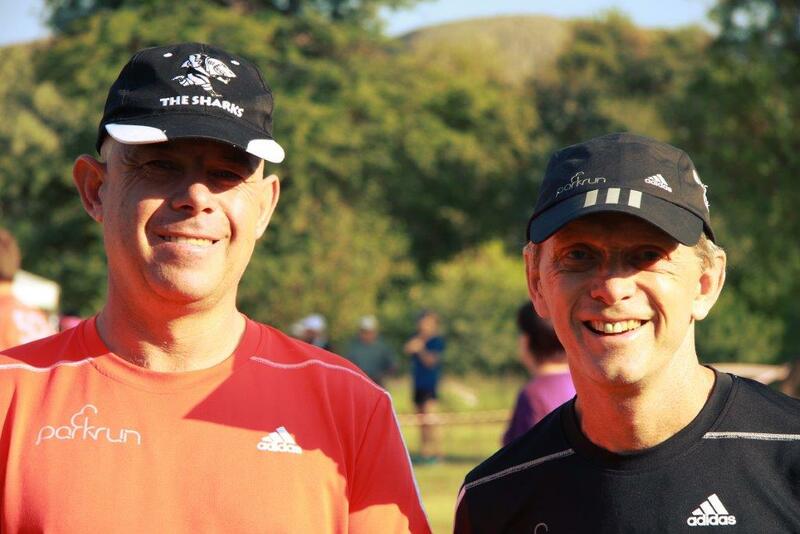 At the beginning of the year, two parkrunners from Ballito parkrun ran the Cannibals Cave parkrun in the Drakensberg. Mike Dixon and Sean Fouche ran the 5km route on different days, and were in fact complete strangers. Both returned to the coast with the same vision; to collect shoes for the local kids and orphans who ran the parkrun barefoot. Most of the children ran without shoes. When Mike announced his intention at a Ballito parkrun, a partnership was formed to collect running shoes. In excess of 200 shoes were collected from Ballito parkrunners, Crawford Preparatory North Coast and FNB CSI. 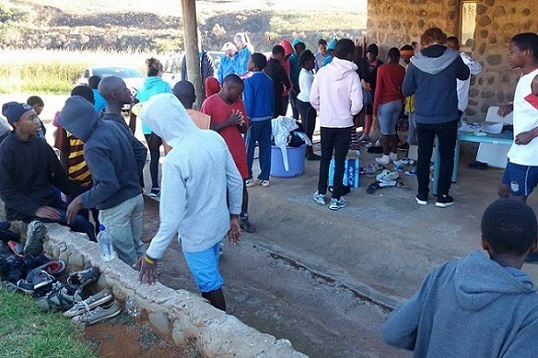 The shoes were handed over to delighted runners at the occasion of the second anniversary of Cannibals Cave parkrun and a message came for those who donated shoes. “It was nice to see you guys coming back with such a spirit showing the Cannibals that you did not forget about them you have been thinking about them. The children were very excited indeed they have experience something new in their lives. I really thank you and your team of course, I'm running out of words to express my feeling. Please pass our appreciation to good hearted people who donated the goods"
How has parkrun changed your running: It motivates me especially when I see people with disabilities completing the course. Most memorable or funniest parkrun moment: Running my 50th with a group of my favourite people. What do you like about volunteering at parkrun: I love watching the people going from never running/walking a step to doing 5km and then onto races and watching the kids "grow" with parkrun. What fellow volunteers say about them: Trish has been a devoted Dusi parkrun volunteer. She has stepped in as event director on numerous occasions for me. Her determination and love for running and parkrun is a joy to watch. She adds fun and laughter to the event and brings the volunteers coffees after. When my husband was diagnosed with cancer last year Trish stepped and took the additional pressure off me. Trish has also completed a couple of Comrades and adds parkrun to her training. She is also a proud Granny. Discovery Vitality believes that every decision that a person makes to exercise and get active is a step in the right direction, and participating in a parkrun is no exception. Living a healthy lifestyle can be rewarding, and Discovery Vitality members 18 years and older can earn 300 points for participating in a parkrun event. Children six years and older who are dependents on their parents' Discovery Vitality membership can now also earn points for completing a parkrun. Visit the Discovery website for more information. 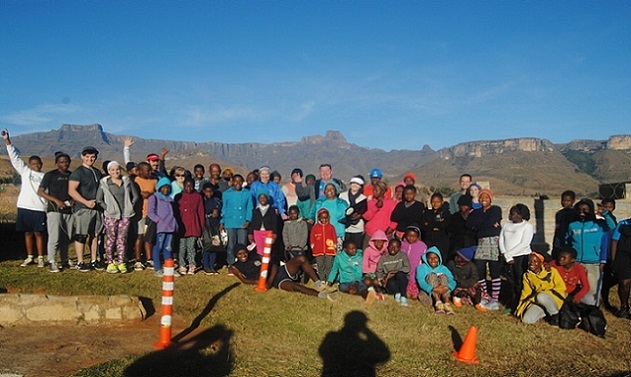 In this edition of the SA parkrun newsletter, we look at similarities and difference with parkruns in the UK and hear about Harrismith parkrun’s first birthday celebrations. We also hear from parkrunners around South Africa and celebrate our parkrunner of the week, Hans Venter from Potchefstroom parkrun. I have just returned from a trip to the UK, where I was a guest speaker at the UltraMag ultra marathon runners’ festival. It certainly was a fascinating gathering of some of the world’s best ultra-marathoners. Obviously I am very proud of some of my achievements and showed off some of my race finishers T-shirts but I found it quite intimidating meeting a runner with a T-shirt boasting the words “Trans America challenge” or “Paris to Tokyo run”. While in the UK, Gill and I couldn’t resist the opportunity of running a couple of UK parkruns. We ran Southwick parkrun in Wiltshire and the most northerly UK parkrun, Elgin, in Scotland. We were warmly welcomed at both parkruns and I was reminded what makes parkrun so special all over the world. Apart from the warm welcome visitors receive at parkruns, there are some things that are universal about parkrun and that never change. All parkruns are run or walked over 5 kilometres. parkruns are run on Saturday mornings and are free of any charge. Participants are asked to register and print a barcode and bring that barcode with them to the parkrun so that they can receive their results. parkruns are organised and managed by teams of wonderful volunteers who give their time freely to make each parkrun successful. After that, each parkrun is unique. Each has its own course and its own unique team of volunteers. Many have ideas from which other parkruns could learn. At Southwick I was impressed by the group of volunteers who acted as pacemakers for those runners aiming for certain finishing times. These pacemakers wore bibs with “sub 30” or “sub 28” clearly emblazoned on the back. Those hoping to break a barrier simply followed the relevant pacemaker. At the same time, the pacemaker could double-up by volunteering while running and recording a parkrun finish. I also loved the Southwick gong, which hangs from a tree at the finish. Those runners who record a P.B. are welcome to hit the gong to announce and celebrate their achievement. At Elgin, one volunteer walks at the back of the entire field as a “tail runner” escorting the last to the finish. While the backmarkers love the company, the volunteers also recognise that when the tail runner finishes they can start dismantling their parkrun finish area. I am delighted that we are receiving more interest for parkruns from rural and outlying areas. While there are some challenges in starting these parkruns, parkrun SA welcomes the challenge. We are proud of parkruns such as Nkomazi and Cannibals Cave, which have made great strides in their communities and we look forward to more joining the parkrun family. I apologise to all those who have been patiently waiting for their club/milestone shirts. I can now offer some good news in that Mr Price Sport will this week start to deal with the backlog of T-shirt orders from last year. These shirts will be couriered to your home run. Please contact your home run via their email to arrange collection of your T-shirt. Mr Price Sport will advise us when the remainder will be available. The temperatures might have dropped but the parkruns aren’t going to stop! 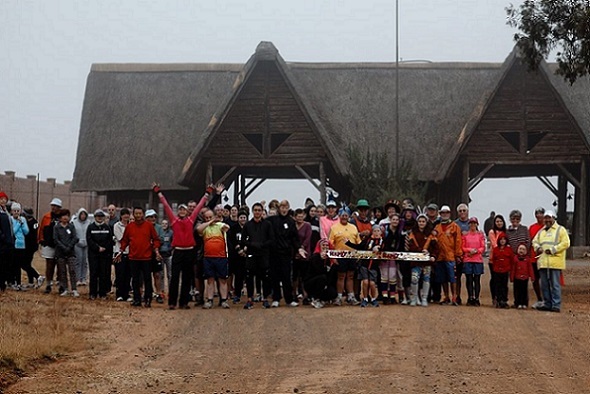 This weekend we’re celebrating Ebotse’s fourth parkrun anniversary! Congrats on reaching this epic milestone, Ebotse! Here’s to many more! parkrunners, if you’re in the Benoni area, join us, come say “Hi”, and let’s make it a big one for their anniversary! As of the 18th of June, the remaining achievement tees from 2015 will be available for collection from your home parkrun event director. Please attend your home parkrun or contact them to collect your T-shirt. Once tees for this year are available, we’ll let you know! In the meantime, keep on going for that next big parkrun milestone! And don’t forget to get kitted out for your next parkrun or active weekend online at www.mrpsport.com or in-store at your nearest MRP Sport store! parkrunners: keeping our bodies fit and strong is something we all aspire to, but did you know there are muscles in our eyes that we often forget to work out? Just like the muscles in the rest of our body, our sporting skills, concentration and reading skills can be trained to improve. This is especially important for growing kids. Your kids can strengthen their visual fitness by training with EyeGym - a course that is customised and available to kids for free. Visit www.discovery.co.za, click on Vitality > Parenting > EyeGym for more information. Plus you can earn Vitality Points for completing the course. 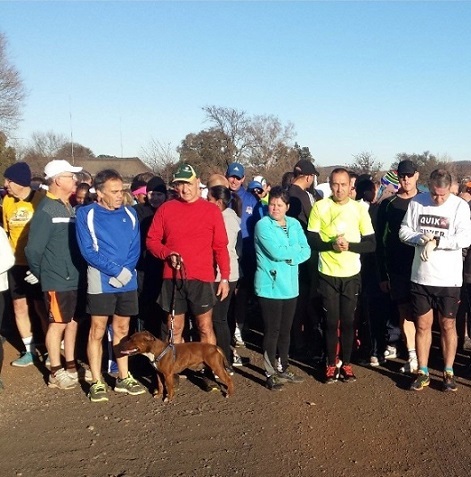 On Saturday, 21 May 2016, 72 enthusiastic parkrunners gathered to celebrate Harrismith parkrun’s first birthday. 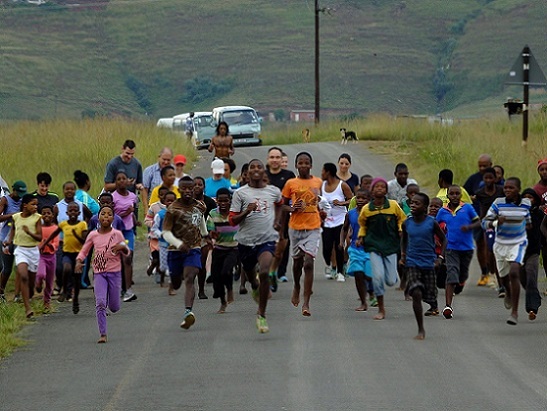 Harrismith parkrun started on 23 May 2015, and since then 563 different runners, including participants from 28 athletics clubs, have completed 2,979 runs covering a total distance of 14,895 km, and there have been 713 new Personal Bests Total running time: 89Days 23Hrs 8Min 33Secs. Our current course record is set at 16:18min, which is proudly held by Buti Isaac Mokoena, a local Harrismithian. We are very lucky to attract visitors from all over as they travel to/from the coast; we also get international visitors, & were privileged to host the founding father of parkrun, Paul Sinton-Hewitt & his wife Jo, when they were visiting SA recently. I have never liked running before, but I wanted my three sons to grow up with a different attitude and parkrun seemed like a good way to start them off. Getting up on a Saturday morning for Dusi parkrun has become a family ritual now and we all look forward to it (even me). 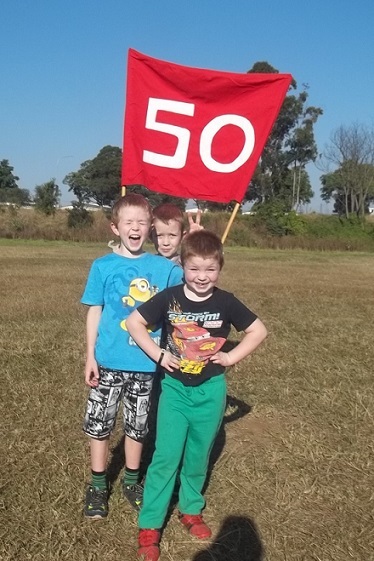 Now I'm proud to say my wife, Michelle, and sons, Roger (8), Simon (8) and Grant (5 - nearly 6),have all done their fiftieth and their times are improving quite nicely. I'm the only one that hasn't done fifty yet but am getting close. I think the whole concept is brilliant and the originator and organisers deserve the Nobel Prize. 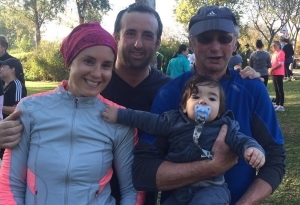 On the Saturday, she said that we are all going to do the parkrun, and I said that I wasn’t ready yet, so my husband, Carlos, my youngest daughter, Ash, and Dianne went to Nahoon Point to the run. Carlos finished the run in under 25 minutes and they all really enjoyed it, so I began to think that maybe I am missing out on something! It took me about 4 weeks to prepare myself to participate in my first parkrun. My granddaughter, Lua, who was 2 years old at the time, said, “Nana, you can do this!” So when I started at the starting point, that is exactly what I told myself “I can do it” My timing got better and better, I am fitter and stronger and I have more confidence. To such an extent, that I have entered many other running events. One that was very special to me was running the Discovery Surfers Challenge in February 2016. I ran the 17.5km race on the beach with my daughter Dianne, a day that I will never forget and one that we are both very proud of. I soon realised that my 50th Parkrun was coming up for 26 March 2016. I marked off each Saturday until the day arrived and I was blessed to have two of my sisters, my niece, nephew and husband run with me. Thanks to all the volunteers and organizers of parkrun across the world – it wouldn’t happen without your dedication! 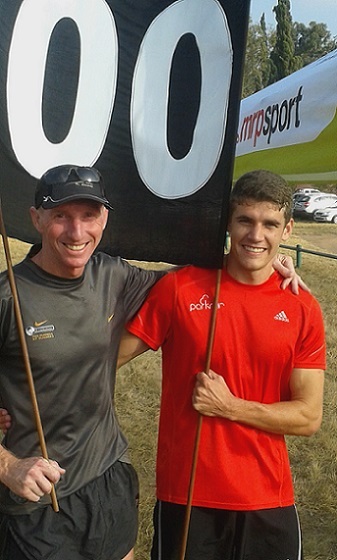 Most memorable or funniest parkrun moment: Running my 100th parkrun at the opening of Hartbeespoort parkrun with Bruce Fordyce. What fellow volunteers say about Hans: Hans is a quiet, friendly person who is always willing to help volunteers with the pre-event setup and post-event close down. He never misses a parkrun unless he has to work at the weekend. 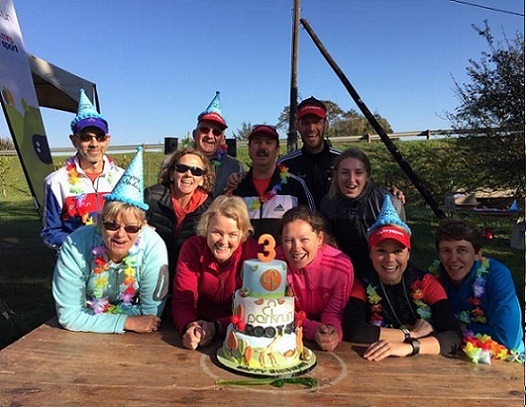 In this edition of the SA parkrun newsletter, we look at a record-breaking parkrun event that took place over Comrades weekend and birthday celebrations at Root 44 and Boksburg. 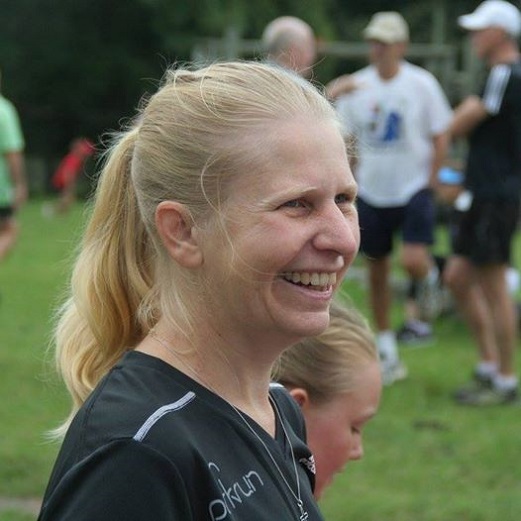 We also hear some great parkrun success stories and congratulate our parkrunner of the week, Lyn Easom from Three Silos parkrun. Understandably, South Africa's most famous race, the Comrades Marathon, dominated running matters these last two weeks. Comrades fever was everywhere as thousands of runners descended on the cities of Durban and Pietermaritzburg in the KZN province. Congratulations to all those parkrunners who finished the greatest ultramarathon in the world. My favourite Twitter message arrived on my phone the morning after Comrades. "One year ago my first parkrun, yesterday the Comrades Marathon. #parkruntoComrades. 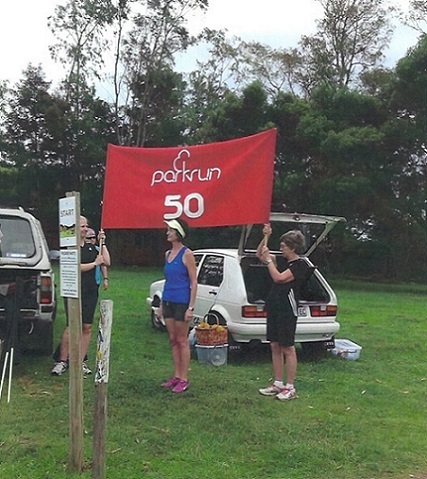 Thank you parkrun"
As has become customary the day before Comrades, thousands of parkrunners descended on KZN parkruns. There were record attendances of over 400 at Umhlanga and Richards Bay. There were also big attendances at other parkruns nearby. North Beach parkrun recorded the largest parkrun attendance ever. 1,874 parkrunners from around the world came to run and walk the flat beachfront route. There were 64 volunteers managing the big crowd at North Beach. Those running the Comrades the next day jogged gently, especially in the Thousand Hills parkrun, parkrunners walked the steep up and down inclines on the route. Not to be outdone, Stellenbosch's Root 44 celebrated its 3rd birthday with a large turnout of enthusiastic runners. Root 44 is renowned as being a very beautiful parkrun, especially at this time of the year. In autumn and winter colours, it is certainly spectacular. As if to emphasise the point, Root 44 baked this amazing cake. 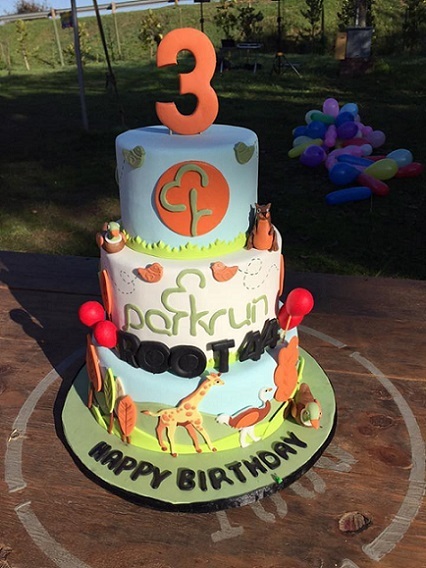 The week before, Boksburg parkrun celebrated its first birthday. Event Director Massimo, and his volunteer team threw a special birthday party and many of the parkrunners arrived dressed in pink. It was a typical cold winter’s morning in Boksburg but there was a warm welcome for everyone. After making my way over the Boksburg blue bridge and running up to the highest point on the course I looked back to admire the solid unbroken stream of colour as runners made their way along the course. It was a truly memorable sight of over 1,000 runners. Guess who’s back with a memory intact? Did someone say “blue tang fish”? On Thursday 16 June, Disney welcomes Dory, Marlin and Nemo back to cinemas for “Finding Dory”, the highly anticipated sequel to the hugely successful, aquatic adventure, “Finding Nemo”. Vitality members can watch movies at discounted prices, plus kids watch movies for free before 7pm once their Kids Vitality Health Review has been completed. Make sure your kids stay healthy and happy all year round! You can take your kids for a Kids Vitality Health Check at your nearest Vitality Wellness Network pharmacy to ensure they are developing at a healthy rate. You can also celebrate healthy, happy families with Discovery Vitality and Disney Healthy Living. Visit the Disney Healthy Living website to check out the latest fun arts and crafts, mouth-watering recipes, educational articles and videos, and so much more. It has been an amazing few days for us with the excitement of the Comrades Marathon! Of course, there was the ultramarathon itself on Sunday, and the days that followed, with brilliant news all round for us at MRP Sport. 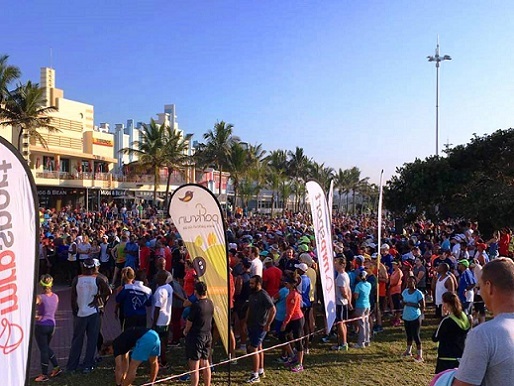 The weekend started with a massive pre-Comrades parkrun on the scenic North Beach promenade, where a world record number of parkrunners made it a run to remember. The atmosphere was unforgettable, and the heroes of the day were each of the runners who took part. We are extremely proud to announce that David Gatebe’s unbelievable Comrades finish was completed in our very own Maxed Marathon Racer! Its ultra-lightweight construction is designed for maximum speed and comfort, and at just R499.99, we are proud that it helped the record-breaking champion! And just in time for summer, we will be launching our official parkrun merchandise range! Watch this space for details! It is said that parkrun is not a race, but if this were true, why is my vision greying as I plunge deep into oxygen debt in a desperate attempt to keep ahead of the young parkrunner flying up behind me? “Good morning, Sir”, the greeting is clear, respectful and confident, and with that, Heinrich Kamffer cruises past to claim yet another first position. 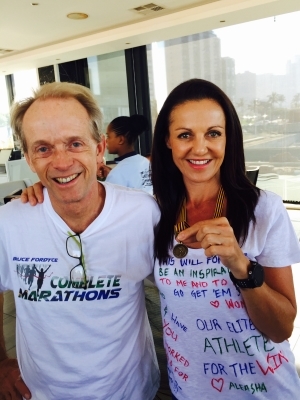 With 79 first finishes out of 100, Heinrich is, despite his youth, a real parkrun legend. Heinrich is not only a talented runner; this young engineering student is also an accomplished singer, cage fighter, bi/tri-athlete and obstacle course racer. Oh, and the politest and humble young man you could hope to meet. 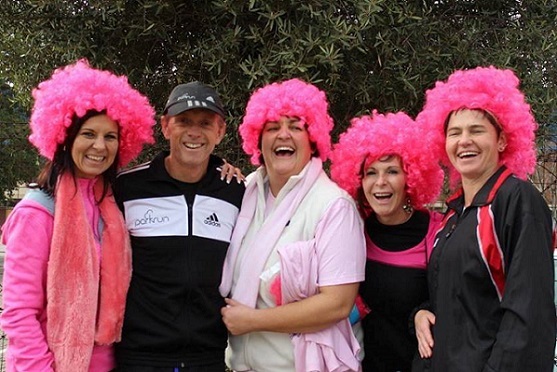 Apparently his “perfect six pack” has contributed the popularity of Ebotse parkrun among the ladies in the field (After finishing, Heinrich often takes of his shirt and jogs back to meet his sister Anzelle, much to the delight of the aforementioned ladies). The Kamffer family are founding members of the Ebotse parkrun, with dad, Johan, well on his way to his 250 shirt (169 parkruns). Congratulations Heinrich, we look forward to you clocking up your 100th first finish. My friend, Gustav Heunes, is 46 years old. He had a kidney and pancreas transplant on 31st December 2011. He was a diabetic for 25 years, but the transplant cured this. However, after the transplant he was in and out of hospitals and was very unfit and unhappy. We have been friends for many years and last year we met up again and he joined me at parkrun as much as he can. Our goal is to do as many parkruns as possible and we have done 11 different parkruns so far. I have achieved my 50 parkruns and Gustav did his 22nd on Saturday, with his goal to reach 50 as soon as he can. He is so healthy and happy at the moment and with every parkrun he is improving. 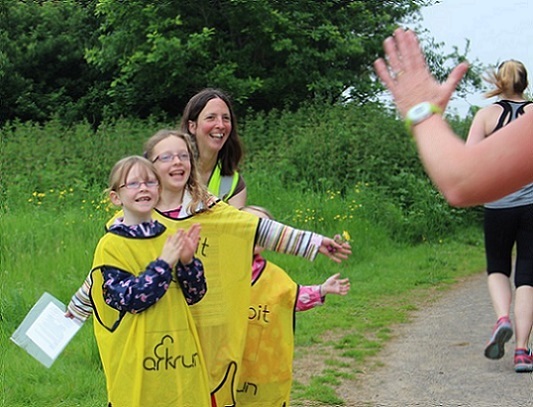 We love the vibe, the energy and just everything about parkruns. He motivates me every day with his positive attitude and energy. How has parkrun changed your running: I moved to East London 3 years ago doing no exercise at the time. My sister got me back into running and parkrun was one of the ways to get there. Since starting, parkrun has been become addictive. In fact, I recently ran a 15km road race as a warm up to parkrun! Most memorable or funniest parkrun moment: Running a freedom run at Nahoon Point with parkrun founder, Paul Sinton-Hewitt. There was another “memorable” day at Nahoon Point - someone drove off with the finish tokens in their car and we could not get hold of them for a while. Our volunteers were writing down positions, names, and barcodes on any scrap of paper they could find! I think we recovered the tokens by about position 600. What was so wonderful was the way the volunteers all just pulled together after the initial panic and everyone just pitched in to help. Favourite volunteer role: I have probably volunteered in most of the different roles and I enjoy the variety. I enjoy the tasks at the finish funnel, which give me the opportunity to talk to people as they finish. What do you like about volunteering at parkrun: The camaraderie among the volunteers – we have a wonderful group of volunteers and we have such fun together. The laughter and the support are fantastic. The camaraderie of parkrun - it doesn’t matter whether you are the fastest runner or the slowest walker, everyone is encouraged and made to feel special when they have achieved a PB – whether the PB is 20 mins or 60 mins. Why should others volunteer at parkrun? : It is fun! What her fellow volunteers say about her: Lyn has been a rock! She manages a lot of admin behind the scenes, keeps track of our club member status so we know when a 50 or 100 milestone is going to be reached. Add this to her roles as run director, results processor and all-round parkrun wonder woman!